Thank you so much Katy at Creative Boom for this lovely feature! Thank you Martina at Mind magazine, I love your feature - very chuffed! Thank you Inspiration Hut for this lovely feature! Thank you Reflexive magazine for your amazing feature! Thank you Tonica for your amazing article!! John Grimwade is a Visual communications lecturer at Ohio university USA, he has a clever and inspiring design blog and I have been lucky enough to be featured in it- thanks John! Thank you Zone one arts! Thank you Deborah at ZONE One arts for this lovely feature, it was amazing to chat with you and so cool to be in touch with and Arts magazine in Australia! This week is getting better and better! I've had another feature, this time I'm proud to say in My Modern Met - thanks so much for your support! Changes Bristol has been running mental health peer support meetings in the City of Bristol for over 12 years. Their meetings are safe places for people to come and talk about their feelings and to take steps toward improving their lives. I was asked if I could create a chameleon to represent how it feels to struggle with mental health, the design will be used to raise money for the charity. There will be a blind auction to win a signed print at an event in Bristol on the 8th July. For more details about the event click here. Thank you so much Fubiz for your lovely feature I really appreciate it! UFunk feature - thank you so much UFunk for your lovely feature, I really appreciate it! Thank you so much Camille at Design du Journal for your lovely feature! Thank you Emily Gosling and Creative Boom for your lovely feature, so proud! 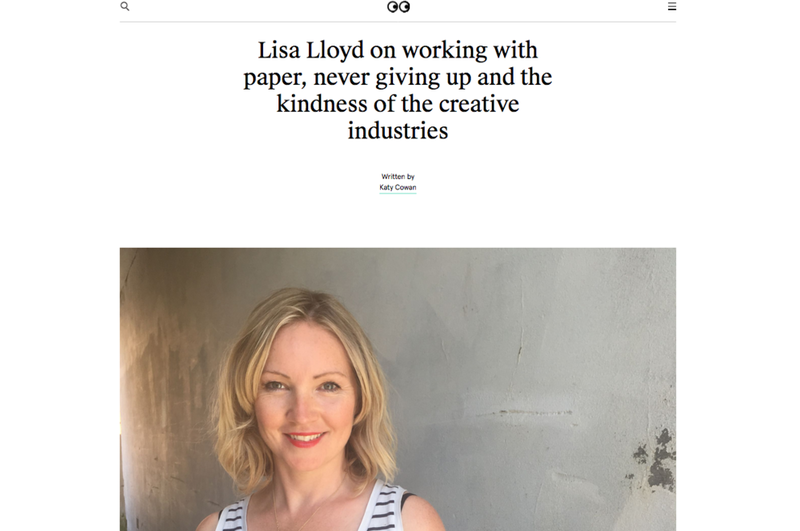 Thank you Ann at All Things Paper for a lovely feature, so exciting to be connecting with talented and kind people on the other side of the Atlantic. 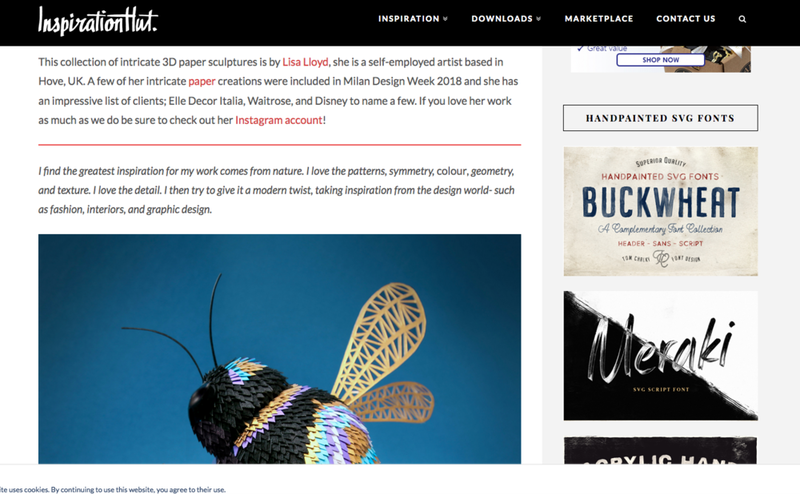 Thank you so much Tom at Design Week for featuring my work in the inspiration feature. My first hand made design for children's rooms!